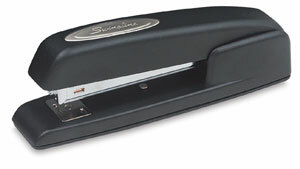 Solid, consistent performance makes this workhorse an industry standard and America's #1 stapler value. Die-cast all metal construction offers years of durability and stapling integrity. It staples 2 to 20 sheets of 20 lb paper at once.